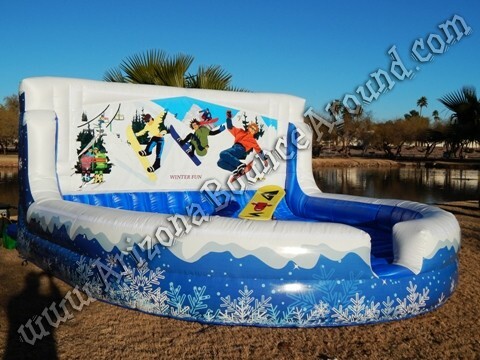 Our new Mechanical Snow Board game is a very unique 1 of a kind game with a beautiful winter themed inflatable mattress and colorful backdrop not found anywhere but at Gravity Play Events. 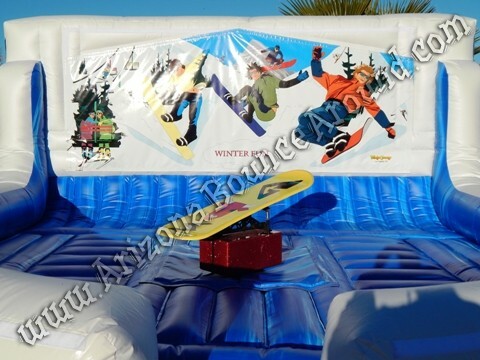 Our mechanical snow board ride is perfect for kids and adults and will be a big hit at any winter themed party or event. 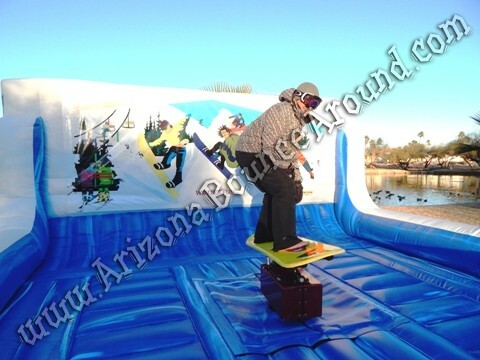 Our Mechanical snow board comes complete with an operator to control the game and it features side to side movement and turns for real snow boarding action. 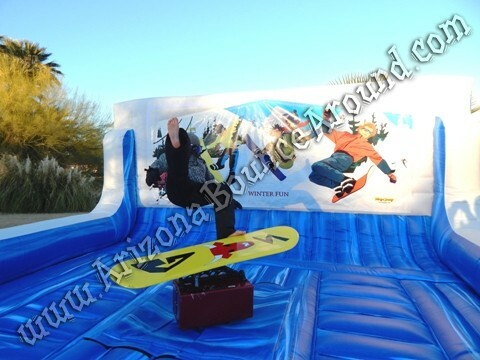 The inflatable mattress can be themed with custom artwork on the back and on the sides for corporate branding or different themes. 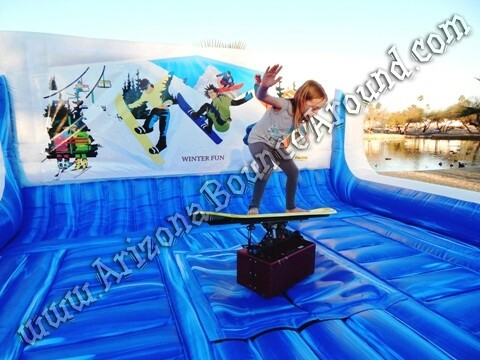 This game comes standard with the snow boarding backdrop but we have several different themes available that can be used at no additional cost. 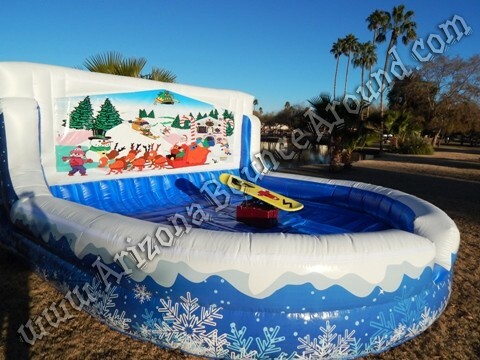 Be sure to check out our mechanical Reindeer that fits perfectly on this winter themed mattress for Christmas and holiday parties and events. It even has a flashing red nose. 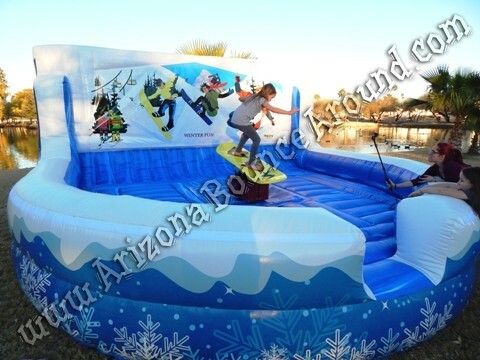 We have a great selection of holiday attractions so be sure to check them out.